Sheets and discs in sodalime tempered glass » ArtVetro s.r.l. 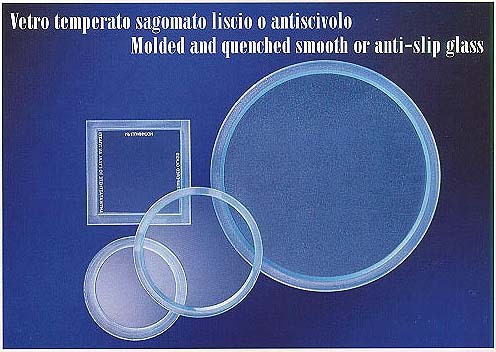 The sodalime tempered glass is used as protection for lamps where do not exceed the temperature of 150°C, or as machine protective glass or sight glasses at low pressure. This type of glass, especially required sandblasted or decorated, is the most used for the protection of led lamps. It can be supplied in various sizes, from a few millimeters in length or diameter up to sheets over a meter. 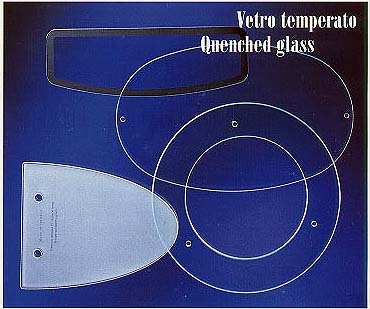 In case of rupture, due to the temper, the glass breaks into small pieces. This type of glass is also available in extraclear or colored.